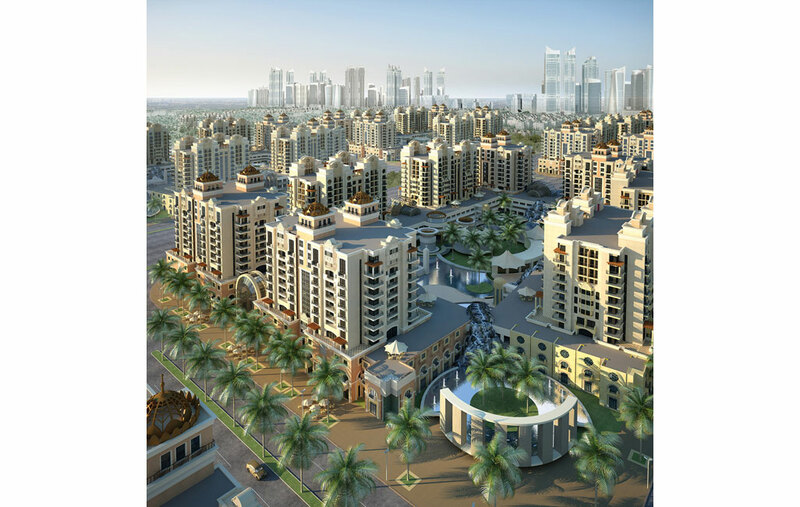 Al Salam City is a new township in Umm Al Quwain planned by Tameer with a view to providing affordable housing to a large catchment area of UAE residents in the northern Emirates. 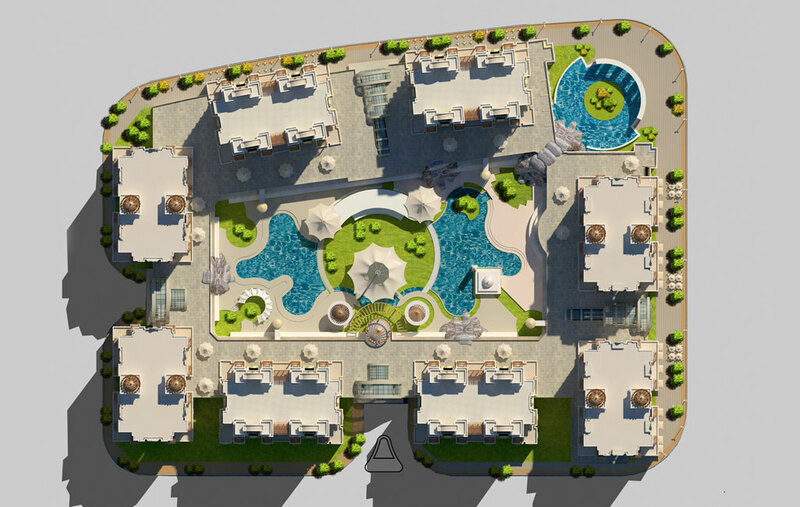 The apartment buildings designed for the neighbourhoods of Al Salam City provide medium- to high-density residential accommodation in a compact arrangement of building footprints that increases efficiency of land use. These clusters have been planned to accommodate four to six mediumrise buildings, ranging from 6 to 16 storeys, in a consolidated and yet physically well-defined building form. They are stylistically themed in Mediterranean architectural style, with interest provided by the use of Mediterranean colour palettes and architectural vocabulary. Shared community facilities and parking are located in the podium above one single basement. The roof of the podium is used to encourage social interaction between members of the cluster’s community and to provide a safe, well-controlled and stimulating environment, offering the residents of each cluster a rich landscape of pools and pool decks, carved out terraces and gardens which accommodate children’s playgrounds as well as tranquil landscaped spaces.